With the recent success of the ANJELL FM in Japan, Park Shin Hye was thrown into the Hallyu Wave becoming more well-known in Japan and all over Asia. Her next stop on this ride is Taiwan where she will attend an Etude House sponsored fansigning, followed by an interview with the channel broadcasting “You’re Beautiful.” She will be the first ever Korean celebrity to be on a particular variety show the following day. THAT is good, I'm very happy for her, please show us all the pictures of her travel. 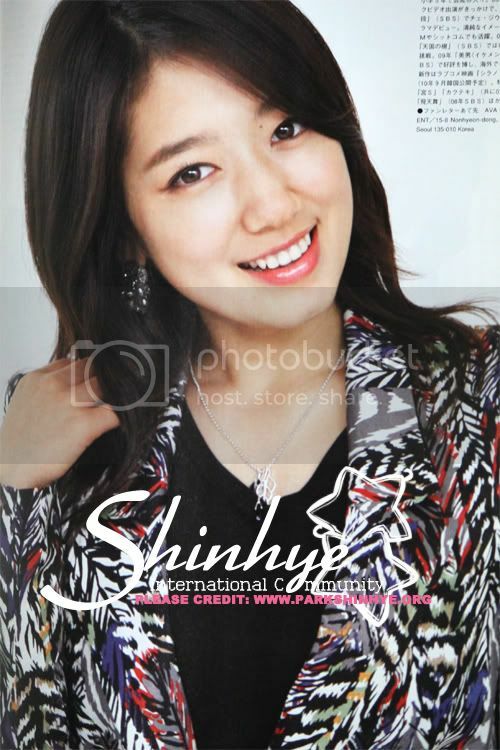 I'm pretty sure our Shin Hye is goin to rock Taiwan! Hope she meets Ella Chen there, those who've seen Hana kimi (Taiwan version) know what the two have in common. what kind of variety show program she will be film tmr? helo thank you for the share of updates news..can i repost this on my page in fb plz??? i love geun shin tandem!!!!!!!!! !